Welcome to the Money Tracker! Have you ever wondered where banknotes go throughout their lifetime? Wonder no more! 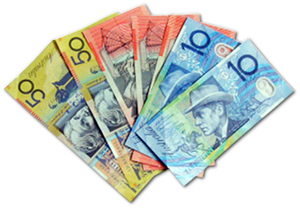 The Money Tracker catalogues when and where banknotes travel around Australia... Learn more! Enter your banknote in our system – it's easy and fast!